I believe that, when advocating on behalf of animals used for human food, animal rights activists should primarily problematize injustice more so than problematizing suffering on factory farms. An injustice frame would be transformational in nature, asking people to question carnism and reconceptualize the accepted practices of animal agriculture, fishing, and meat-eating as unacceptable practices on the basis that they are, in most cases, unjust and exploitative. This frame could be complemented by promoting values of respect for the lives of sentient animal subjects, and respect for the dignity and freedom these animals deserve as capable adults. I believe the activists’ appeal to what I called “American populist” values, which promote siding with the “little guy” against elites and corporations, fits better with the activists’ problem frame of corporate farming cruelty than it does with my proposed injustice problem frame (2). While this may seem counterintuitive because American populism is a pro-justice frame promoting egalitarianism, I think its reliance on anti-corporate values implies that smaller or “family” animal farms are unproblematic because they benefit the middle-class farmer and treat human workers and other animals fairer. The injustice frame, as I am recommending it, is not specifically anti-corporate as much as it is anti-exploitation, anti-enslavement, and anti-violence, whether the perpetrator is a corporation, a family farm, or a single person. Animal activists framed problems around cruelty more so than any other issue; in chapter four I explained the trouble associated with primarily emphasizing a cruelty frame, so I maintain that it should be used selectively. But there are certainly aspects of it that are in alignment with animal rights, as it shows a concern for nonhuman animals as sentient individuals who are equally interested in avoiding pain and suffering as are humans. Therefore, it is best used to complement a solution that asks humans to see other animals as fellow persons and to value their sentience and individuality so that humans avoid treating them like objects or causing them to suffer. A key challenge with the cruelty and suffering frame is that it usually constrains the discourse to a debate over animal welfare within farming rather than debating the necessity and fairness of farming itself. If the cruelty frame can prioritize a discussion of how commercial interests dictate animal suffering and commodification in farming in almost all cases, even on smaller farms, then people may begin to see that there are not many farms or fishing practices that truly would be capable of eliminating animal suffering (or unfairness) and still turning a profit. This frame of universal suffering in agriculture could, perhaps, be used for utilitarian purposes as a preliminary strategy to explain the reality of modern factory farming to the public and open the door to introducing the primary frame of injustice. Matt Ball stated that he viewed Vegan Outreach’s strategy of focusing on factory farm suffering as a pragmatic “first step” (a foot in the door) for people who may then evolve toward animal rights over time. That can work if they are soon asked to make bigger changes after the first step, but I contend that these initial animal welfare frames must be supported to a greater extent by some rights-oriented frames, like injustice, if people are going to be overtly encouraged to begin to consider changing, not just their diet, but their exalted perceptions of themselves in relation to other animals. I believe a cruelty frame alone does not ideologically lead viewers toward a path of eventual transformation in deconstructing the human/animal dichotomy and challenging speciesism. Additionally, if cruelty frames continue to prioritize the most egregious cruelty and suffering, then factory farms will always get the most attention while fishing and less atrocious or intensive farms will seem unproblematic in comparison. Therefore, when suffering is problematized, it would be better to emphasize the suffering specifically involved in death (for both wild and domesticated “food” animal species) and in other basic agricultural practices that tend to be standard to all farms, including smaller, traditional farms. To further support the subject status of farmed animals, their suffering should be shown to include not only physical pain but also emotional pain due to family separation, frustration, boredom, social anxiety, and fear. To demonstrate that traditional animal farming has always involved suffering, even prior to the advent of modern factory farms, activists could cite Plutarch’s description of the suffering of farmed animals several thousand years ago and the many nineteenth century descriptions of farmed animal suffering, particularly in slaughterhouses. We’re not trying to return to “old MacDonald’s farm,” as that wasn’t ever cruelty-free. We are promoting animal-free farming. (1) In my moral vision for a just humanimality, we don’t interfere with natural predation among nonhuman animal species, although we might become predators ourselves if our lives depended on it. We should not domesticate anyone; nonhuman and human interactions should be mutual and on equal terms. But if there are wounded or orphaned nonhuman animals whose lives and existence could be improved by our care, then we can provide it. (2) The populism frame may be useful during the limited anthropocentric altruism appeals that highlight the harm caused to humans by modern farming and fishing. 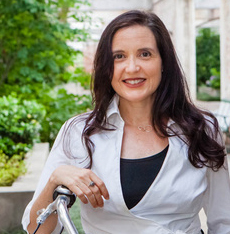 Carrie P. Freeman (PhD in Communication & Society, Univ. of Oregon, 2008) is a tenured Associate Professor of Communication at Georgia State University in Atlanta. She researches the role of communication and media in creating a more just and sustainable society, with specialties in media ethics, environmental communication, and critical animal studies. 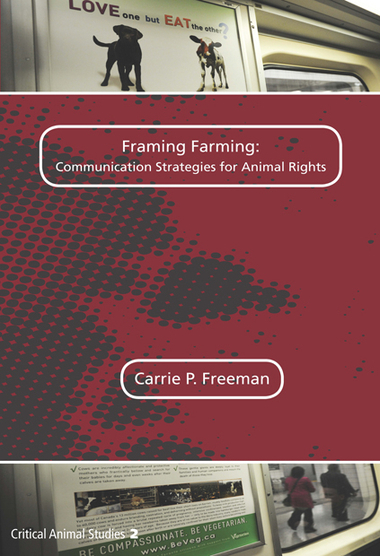 You can link to her many scholarly journal articles and book chapters here: works.bepress.com/carrie_freeman. 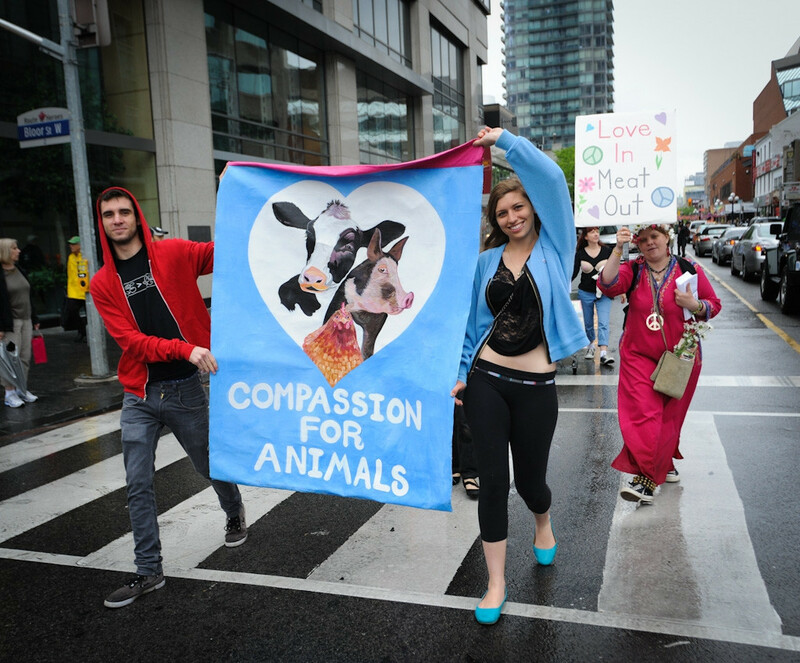 An animal rights advocate for the last two decades, and vegan since 1996, she has volunteered as a local grassroots activist leader for the Vegetarian Society of Southwest Florida, the Speak Out for Species student group at Univ of Georgia, and Univ of Oregon’s Students for the Ethical Treatment of Animals. She now volunteers for the Georgia Animal Rights & Protection group and serves as an indie radio cohost for WRFG-Atlanta 89.3FM’s “In Tune to Nature” environmental program and “Second Opinion Radio” animal rights program.